It was considered a privilege to carry a credit card back in the eighties. Nowadays, credit card companies harass people who have steady incomes to offer them free-for-life credit cards. Things have evolved in a manner that you can take a cash advance with zero down payment and zero interest for a number of months. The trick here is that most people will fail to repay those credit card loans within the few months’ window and then get penalized with huge interest rates that can range anywhere between 24 to 36% per year. This is when the borrower becomes captive to those high-interest loans. With good marketing campaigns that play on consumers’ psychology, bankers and big companies convince us to buy goods and services that will provide instant gratification. They have also made it easy for consumers to get a suite of credit cards, personal loans, and car loans with reasonable monthly payments to make it a no-brainer to buy those goods and services even if we cannot afford them. It is normal to see offers from retailers tempting consumers to use their credit cards to buy now and pay later at zero interest over three, six, nine, or twelve months. 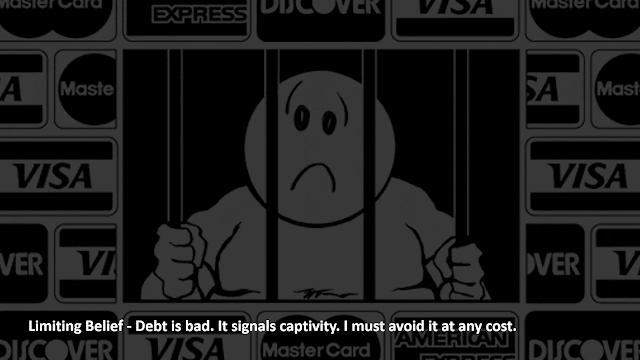 The caveat is that by the time the debt is repaid, those goods and services are worthless. Most of us have fallen victim to tempting instant gratification offers with delayed payment plans. 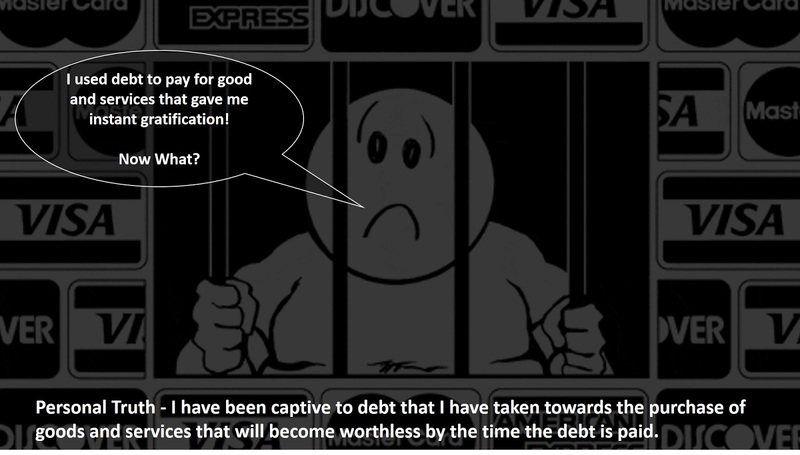 We started to fear being captive to debt. Our parents, the school, and the community have each played a role in teaching us that debt is bad and that it must be avoided at any cost. And they are correct when it comes to bad debt. On the other hand, good debt, which is debt incurred to purchase income-producing assets, sets you on the road to wealth. In an earlier article, I shared the idea that you will become as rich as the amount of good debt you take in your life. 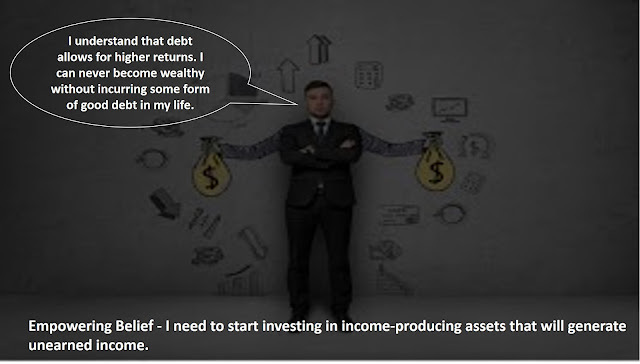 I would even dare to claim that you can almost never become wealthy without incurring good debt. Think of it as borrowing yourself to wealth. Pay attention: I mentioned good debt, which is the kind of debt you incur to purchase income-producing assets. Want to learn more on how to acquire income-producing assets? Want to learn more on how to become wealthy and achieve financial freedom?